Nakajima A1N1 (left) and Nakajima A1N2 (right). During 1926 Gloucestershire Aircraft (Gloster Aircraft from 11 November 1926) was approached by the Nakajima concern, which (together with Aichi and Mitsubishi) had been asked to submit a design for a new single-seat shipboard fighter in the competition announced in April 1926 by the Imperial Japanese Navy to replace the Mitsubishi Type 10 (1MF4). 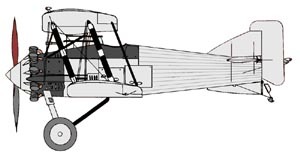 At this time, H. P. Folland of Gloster was designing a shipboard fighter as a company venture called the Gambet and based on the Greebe/Gamecock. The aircraft had a classical wooden structure powered by 420 hp Bristol Jupiter VI nine-cylinder radial. Gloster modified the Gambet prototype to meet the Imperial Japanese Navy’s requirements for a carrier fighter. This included building a stronger airframe, extending the wing to give better stability and to incorporating an arrester cable hook with the rear landing strut. The Japanese acquired this prototype in July 1927 together with manufacturing rights. After modification by a Nakajima team led by Takao Yoshida and installation of a 520 hp Nakajima-built Jupiter VI engine, the Gambet competed against prototypes of indigenous design and was officially accepted in April 1929 as the Type 3 Carrier Fighter, or A1N1. 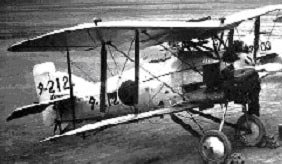 About 50 aircraft were built by Nakajima with the 420 hp Nakajima Jupiter VI engine and the first entered service in 1929 replacing the Mitsubishi (1MF) Type 10 on the carriers Hosho, Akagi, Kaga and later on the Ryujo (1933). Nakajima A1N1s from the carriers Hosho (left) and the Kaga (right). Click on the profiles to see them in full size. Nakajima A1N1s from the carrier Akagi. Click on the profile to see it in full size. 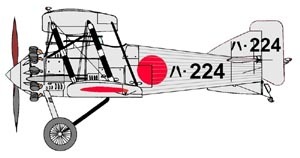 The A1N1 was followed by approximately 100 of the improved A1N2 version with the 450 hp Nakajima Kotobuki 2 engine, which was introduced during 1930. Production was completed in 1932. 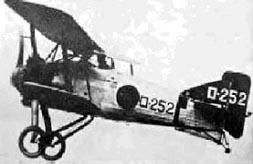 The A1N2 was the first Japanese fighter to engage in combat during the ”Shanghai Incident” of from January to May 1932. 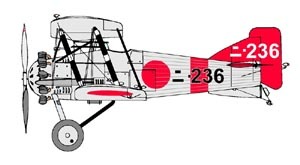 The first victories by the IJNAF was claimed on 22 February when PO3c Toshio Kuro-iwa and Lieutenant Nokiji Ikuta shot down a Boeing model 281 (P-12E) flown by the American mercenary Robert Short. The A1N1 and A1N2 were withdrawn from service in 1935. The Nakajima A1N was also used by the Kasumigaura Kokutai. The A1N fighters carried the standard IJNAF colours of the time; silver doped fuselage and wings while the tail surfaces were red. The wing and aileron struts were black while the wing struts had white strengthening bands. The standard marking of the fighter was Hinomarus in all six positions. The individual aircraft identification marking was applied in white on both sides of the fin and in black on the fuselages sides. This black identification was repeated across the top wing and on both the left and right side on the down surface of the lower wing. 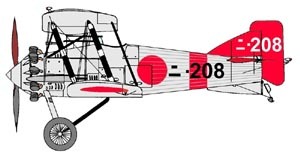 At this time the identification marking consisted of two parts, one Katakana syllable indication the carrier and three Arabic digits indicating the individual aircraft. Nakajima A1N2s from the carrier Kaga (left) and the Ryujo (right). Nakajima A1N2s from the Kasumigaura Kokutai (left) and another land-based example (right). 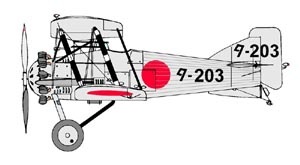 The Nakajima A1N saw service in: Japan (IJNAF). Additional information kindly provided by Sidnei E. Maneta and Johan Myhrman. Profiles and pictures kindly provided by Sidnei E. Maneta.